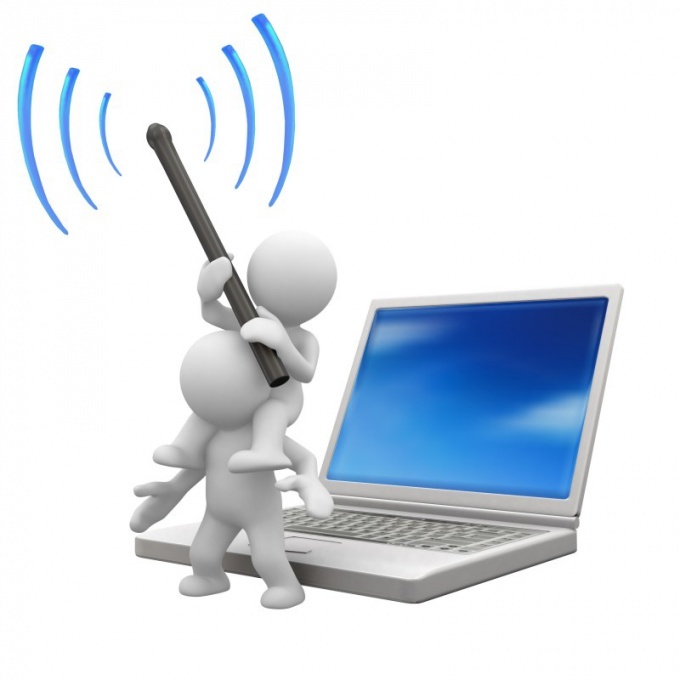 For wireless networking, format Wi-Fi is influenced by many factors, chief of which is mounted to operate the equipment. Thus, the range of the network is determined by the characteristics used for data transmission devices like routers. The range of operation of the network is also affected by physical obstacles in the way of the wireless signal. For the transmission of data within wireless networks use radio waves, which are transmitted by the source router (router), transforming the incoming Internet wire signal format of the radio waves with a certain frequency and characteristics. Thus, the signal transmission distance, as in other radio channels is exposed to all sorts of interference. There are several standards for wireless communication via wifi, which differ in range and frequency. Most often, the device may be used 802.11 g standard, which is supported by most network cards. The router with the standard gain (antenna with frequency 2 DB) allows the transmission of a signal to 50 metres indoors and 150 metres outdoors. The presence of walls seriously affects the transmission range of the signal, significantly limiting it. Other important parameters of the signal is not only the type of Protocol the transmitter power amplifier and antenna, but the physical obstacles and created interference with other devices. Seriously reduce the transmission distance of radio waves metal structure and brick walls, taking about 25% of the total signal. The amount of data lost may be determined and used standard. So, the access point operating in 802.11 a uses radio frequencies higher than 802.11 g or b, so it will be more sensitive to such obstacles. Microwave ovens also absorb the signal due to interference coming from them. The maximum range will have the access point working with 802.11 n, which allows to achieve communication range of up to 70 m of the house, and in open areas to obtain a large coverage of up to 250 m with close to ideal conditions for transmission. Another obstacle is often the leaves of the trees containing water, which absorbs the waves transmitted by the router at a certain frequency. The range affected by the torrential rain that weaken the transmitted signal, or dense fog. The range of a broadcast signal router can be calculated by using a special calculator, which specifies the basic parameters of the equipment used. The increase in range of the network limited to one of the above reasons, is achieved by combining multiple routers in a circuit. Also, the device may be replaced with antenna that can boost signal by a few tens of meters. 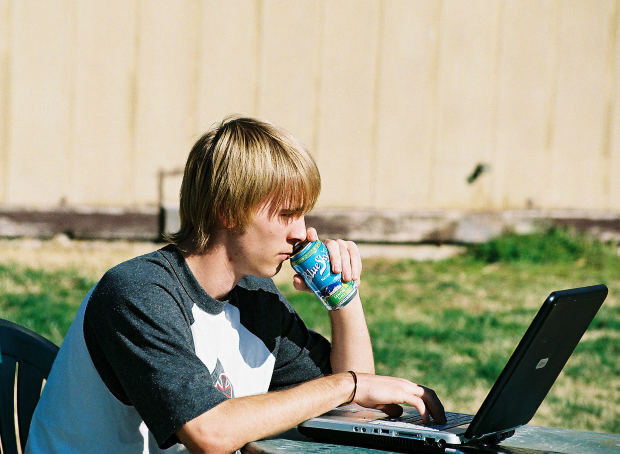 Wi-fi or wireless network to access the Internet lately has become very popular. And I understand why. It's very convenient. To travel on the global network both at home and outside the apartment. But it often happens that it is not entirely clear how you want to connect to the access point wi-fi. Will try to sort out this problem. computer with the wireless adapter , the access point wi-fi. We must know that all access points are divided into public and private. Services connect to the Internet via the first option points are provided free of charge or for money, depending on where you came with the laptop. Private are mainly used in home to connect to the network several personal computers. Public wi-fi access found in cafes, in bars, in airports, in hotels and other places with large concentrations of people. There are free services or not, you can learn from the administrator. If you do not need to pay, just turn on the built-in laptop adapter. It is usually located above the keyboard, next to the main power button and shut down the computer. If you still need to pay a symbolic price for the connection, then after you make it, they should give you a login and password that must be entered after the adapter will find the wireless network. If you have a connection to the Internet, and you want to using wi-fi to catch it on other computers, then first you need to buy a router (access point) and USB adapter for desktop computer ( if wired Internet is connected to it) in any computer store. Then set up a wireless network between computers. On your and every other you must also include the adapters. And then follow the instructions of the "setup Wizard". After a connection is established the web itself will appear in the list of possible options. You will only need to make it a preferred by selecting the checkbox next to it. Now the laptop will automatically connect to it when you log in. To avoid unauthorized use of your Internet connection with other wi-fi, experts recommend to make the password. And distribute it to everyone you really want to see in your wireless network. There are several proven methods to increase the power of the Wi-Fi channel. This is usually achieved by increasing the transmitting device and not the adapter receives the signal. First, try to strengthen the reception Wi-Fi signal. Better to do it without technical intervention in the laptop. Turn off the functionality to enable the economical operation mode of the adapter. Click "control Panel" and go to "System and security". Now locate and click power options. Select the work plan of the laptop that you use while connecting to wireless access points. Click "change plan settings". Now select "Change advanced power settings". Find menu Settings "wireless network adapter" and expand it. Now click "power saving Mode". Select "Maximum performance" when running on battery and plugged in. Save settings power. Now try to increase the power of Wi-Fi router. Of course, the easiest and most logical solution is to buy a more powerful device. Unfortunately, this approach requires large financial costs. So start with purchasing a higher quality antenna. 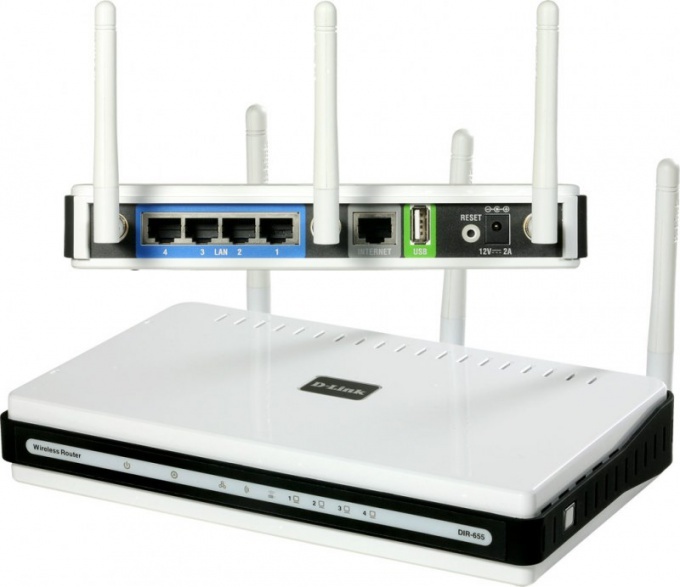 Most routers have their own antennas, which are easily removable. Examine the type of the antenna mount to the equipment. Purchase devices with the same mount and connect it to the router. If the result does not suit you, then try to use the means at hand to enhance the signal. Bare the upper part of the antenna, to be able to connect with her wire. Take a piece of metal cable and solder it to the bare part of the antenna. The other end connect with system unit of computer. In this case it is better to connect with back block, so the signal will travel in the opposite wall direction. Alternatively, the system unit can be used a metal curtain. The main problem almost any device, providing wireless communication is a weak signal. You've probably faced with the fact that Wi-Fi transmitter doesn't cover all the territory that you want to link. This category may include problems with 3G and WiMAX. With this problem you can handle even by yourself. Suffice it to strengthen signal wireless. How to strengthen your Wi-Fisignal1. Reduce the number of walls and ceilings between the source signaland the device receiver. To do this, in large organizations install Wi-Fi transmitter in the hallway between the offices.2. Select a source device so that the angle of propagation of the signaland relative to the barriers was equal to 90 degrees.3. Eliminate all sources of radio interference as system on the computer monitor, microwave oven).4. Replace the antenna in the source Wi-Fisignaland more powerful. To do this, simply Unscrew the old antenna and insert in its socket the one that will provide the proper level signal.5. Solder the mounting location for the antenna on the PCB the wire. The other end fasten to the bars-"the dryer" conventional television antenna with amplifier. The cable wires should have a resistance of 50 Ohms. How to strengthen signal YotaИсползуйте more powerful WiMAX antenna. This should increase the level of the signal. The choice of antennas to date is great. For example, you can use a special parabolic antenna 30 dbi. A parabolic antenna will allow to receive and bring the signal in any plane relative to the horizon.Amplification signaland the Yota is necessary if the connection speed you n satisfied, if you are at a considerable distance from the source of the signaland, for example, in the country, if your router cannot establish a connection.In addition, as in the case of Wi-Fi-router, try to solder a new antenna, including satellite. How to increase 3GsignalTo increase the 3Gsignal on their own, you need to have:a) external antenna, for example, satellite or television;b) an internal antenna of small size (it will become an adapter for the 3G modem);C) coaxial cable impedance of 50 Ohms.Basic steps:1. Install an external antenna outside the window of the house.2. Connect the cable to the external antenna and the internal antenna.3. Attach 3G modem to the internal antenna in any way.In addition, to enhance the signal 3G modem you can, endure it, for example, a window with a long USB cable.